December is one of the highest travel months of the year thanks to everyone heading to and from family get-togethers, Christmas parties, and other holiday events; and because it is one of the highest travel months, it is also one of the worst months to be pulled over by a police officer. This is not because you could get a speeding ticket, but because police are on high-alert for potential drunk drivers. Don’t be on the road if you can help it, whether you plan on having anything to drink or not. Be extra careful to follow all traffic laws. 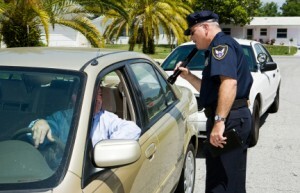 Any violations or erratic driving may give a police officer cause to suspect that you are under the influence of alcohol or drugs and pull you over. If you are pulled over, stay calm, be respectful, and speak very clearly. If you are nervous and start to stammer, slur words because you’re talking too fast or fidget, a police officer may assume you are under the influence of alcohol or drugs. Being arrested for a DUI in California can be overwhelming and confusing, but it does not mean you are guilty; it just means the arresting officer thinks you are. Joseph H. Low IV recognizes that keeping the roads safe is a difficult job, but that difficulty should never excuse the mistakes and/or assumptions that law enforcement may make that lead to the arrest of an innocent person. If you have been arrested for DUI in California, experienced DUI defense attorney Joseph Low can help you protect your legal rights.